Moving into a new home is exciting, but it’s also lots of work. There’s a tonne of things to coordinate and organise. So how do you make sure you remember everything? With a checklist, of course! 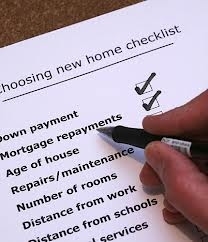 Work through this Moving Home Checklist to ensure you don’t forget anything! Before you move into your Jupiter new home, there are lots of things you should do! Start early and be proactive to prevent the last-minute rush. Were any malfunctioning items or broken fittings brought to your attention by the conveyancer? If so, ensure these are repaired before you move in. Organise and book removalists for your desired dates/times. Also book any trailers or trucks you are hiring on your own and confirm pick-up and drop-off times. Make sure your moving day doesn’t coincide with any major events like birthdays, weddings etc. Organise home and contents insurance, if you don’t already have it. Decide where to put your major furniture items such as the couch, bed, dining table, fridge etc. This will be much easier than trying to decide on moving day. Connect water, gas, electricity and other utilities and transfer these into your name. Obtain or buy moving boxes, labels and packing tape. Pay any outstanding bills and inform your utilities companies of your moving date. Set up a mail redirection with your local post office to ensure that you don’t lose any mail. Sell or give away any of your unwanted items. If your new home has a built-in stainless steel microwave, for instance, you’ll probably want to sell your current one. As moving day grows closer, the more excited you’ll become! The day and night before moving day, however, there are some last-minute things you’ll need to take care of. Think about what to do for breakfast. Most of your stuff will be packed away, so how will you organise food for the family? Take young children and pets to a friend’s or relative’s place, so that you’re not rushing around looking after them in the morning. Make sure boxes are packed, sealed and labelled correctly and ready to be moved. Leave out your toothbrush, toothpaste, clothes and anything else you’re going to need on Moving Day. Ensure you have the keys to your new home ready. Start early – wake up and get organised before the removalists arrive. Decide which boxes or furniture items you want moved first – it’s usually a good idea to move the largest items first. Keep a few blankets or linen sheets free to use as furniture coverings or floor buffers so you don’t scratch any floors. Ensure you know where your valuables are and keep track of these as they are moved from place to place. If some of your items are highly valuable, move them yourself or give them to a trustworthy friend to mind until you’ve moved. Keep your own checklist or inventory of your furniture and boxes. Most removalists will do this for you, but if not, keep a list yourself and check this off as the move progresses. Make sure that any trailer or trucks you’ve hired are returned by the agreed drop-off time to avoid any excess costs. Once you’ve moved, unpacked and settled in, there will still be a few things to tie up. Concentrate on getting the smaller things in place like paintings, decorations and plants. Claim back any broken or damaged items from the move on insurance. Disconnect the utility connections in your old home, including gas, electricity, water etc. Update your address with the RTA, banks, utilities companies and anywhere else where your address will be registered. After one month, cancel your mail redirection. Explore local parks, schools, shopping centres and shops so that you know where to find these, if you need them. Call 561-201-5601 and find out how you can save up to $40,000 on your next home new Jupiter home.